Gioachino Rossini as a well-known gourmand used to exaggerate a bit when claiming: “The mouth is a much more sensitive organ that the ear.” He exaggerated as usual and he laughed. 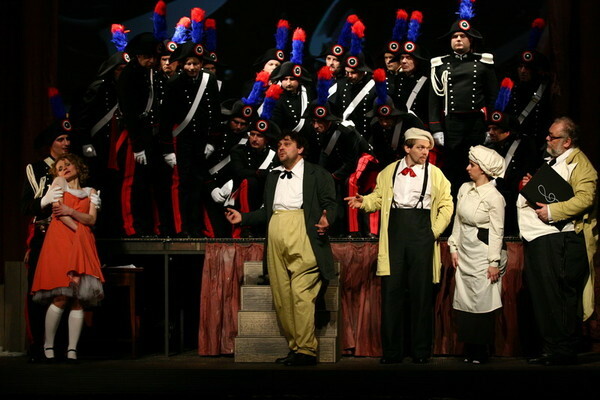 In spite of his mastery as a cook, and we would not allow us to hesitate about it, our opera stage is interested first of all in his composition mastery. The composer has been ‘mixing’ Italian bel canto with his extraordinary invention and the special sense of humour in his own original way. In a public square outside Bartolo’s house a band of musicians and a poor student named Lindoro are serenading, to no avail, the window of Rosina (“Ecco, ridente in cielo”; “There, laughing in the sky”). Lindoro, who is really the young Count Almaviva in disguise, hopes to make the beautiful Rosina love him for himself—not his money. Almaviva pays off the musicians who then depart, leaving him to brood alone. Rosina is the young ward of the grumpy, elderly Bartolo and she is allowed very little freedom because Bartolo plans to marry her, and her not inconsiderable dowry, himself – once she is of age. The scene begins with Rosina’s cavatina, “Una voce poco fa” (“A voice a little while ago”). Knowing the Count only as Lindoro, Rosina writes to him. As she is leaving the room, Bartolo and Basilio enter. Bartolo is suspicious of the Count, and Basilio advises that he be put out of the way by creating false rumours about him (this aria, “La calunnia è un venticello” – “Calumny is a little breeze” – is almost always sung a tone lower than the original D major). When the two have gone, Rosina and Figaro enter. The latter asks Rosina to write a few encouraging words to Lindoro, which she has actually already written. (Duet: “Dunque io son…tu non m’inganni?”; “Then I’m the one…you’re not fooling me?”). Although surprised by Bartolo, Rosina manages to fool him, but he remains suspicious. (Aria: “A un dottor della mia sorte”; “To a doctor of my class”). As Berta, the Bartolo housekeeper, attempts to leave the house, she is met by the Count disguised as an intoxicated soldier. In fear of the drunken man, she rushes to Bartolo for protection and he tries to remove the supposed soldier, but does not succeed. The Count manages to have a quick word with Rosina, whispering that he is Lindoro and passing her a letter. The watching Bartolo is suspicious and demands to know what is in the piece of paper in Rosina’s hands, but she fools him by handing over her laundry list. 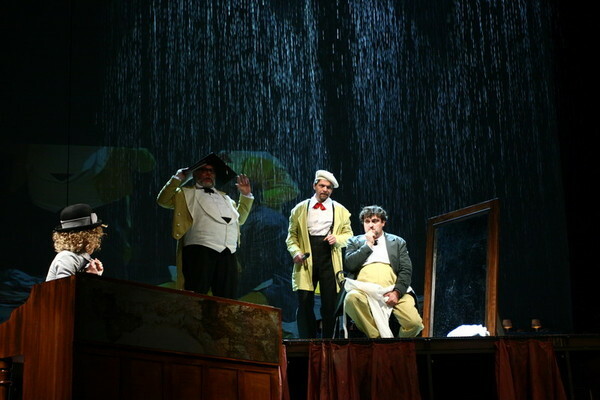 Bartolo and the Count start arguing and, when Basilio, Figaro and Berta appear, the noise attracts the attention of the Officer of the Watch and his men. Bartolo believes that the Count has been arrested, but Almaviva only has to whisper his name to the officer and is released right away. Bartolo and Basilio are astounded, and Rosina makes sport of them. (Finale: “Fredda ed immobile, come una statua”; “Cold and still, just like a statue”). Almaviva again appears at the doctor’s house, this time disguised as a singing tutor and pretending to act as substitute for the supposedly ailing Basilio, Rosina’s regular singing teacher. Initially, Bartolo is suspicious, but does allow Almaviva to enter when the Count gives him Rosina’s letter. He describes his plan to discredit Lindoro whom he believes to be one of the Count’s servants, intent on pursuing women for his master. Figaro arrives to shave Bartolo. Bartolo demurs, but Figaro makes such a scene he agrees, but in order not to leave the supposed music master alone with Rosina, the doctor has Figaro shave him right there in the music room. 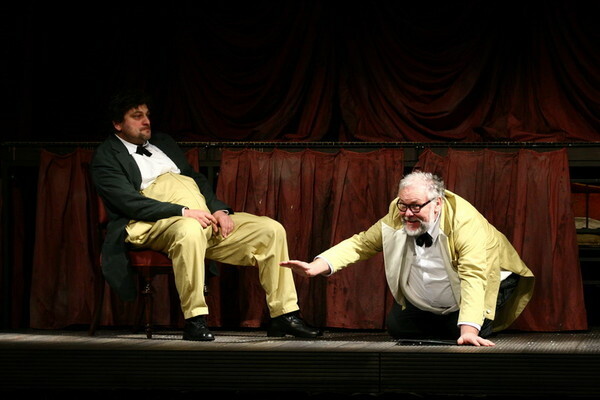 When Basilio suddenly appears, he is bribed by a full purse from Almaviva and persuaded to leave again, with much discussion of how ill he looks. (Quintet: “Don Basilio! – Cosa veggo!”; “Don Basilio! – What do I see?”). 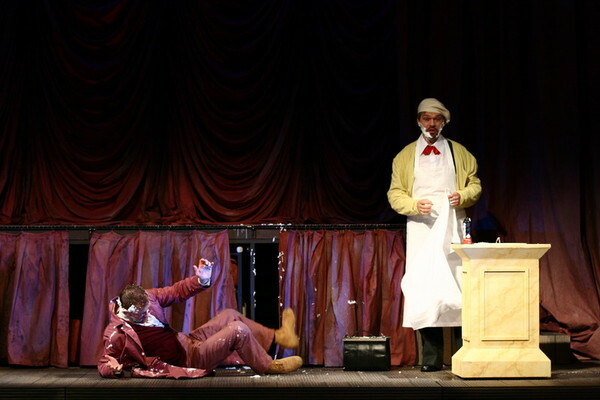 Figaro begins to shave Bartolo, but Bartolo overhears the lovers conspiring. He drives everybody away. 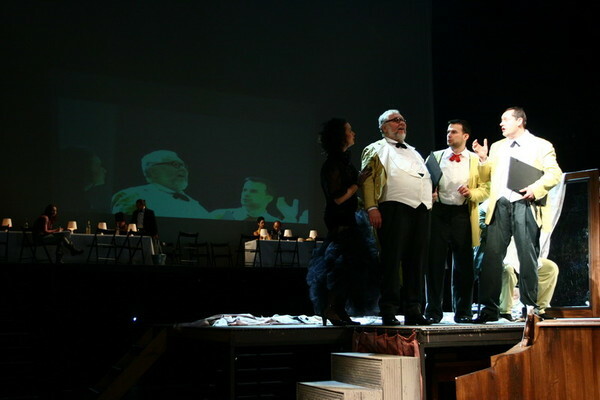 The scene returns to the location of act 1 with a grill looking out onto the square. Bartolo orders Basilio to have the notary ready to marry him to Rosina that evening. He also explains his plot to come between the lovers. Basilio leaves and Rosina arrives. Bartolo shows Rosina the letter she wrote to “Lindoro”, and persuades her that this is evidence that Lindoro is merely a flunky of Almaviva. Rosina believes him and agrees to marry him. The stage remains empty while the music creates a thunder storm to indicate the passage of time. 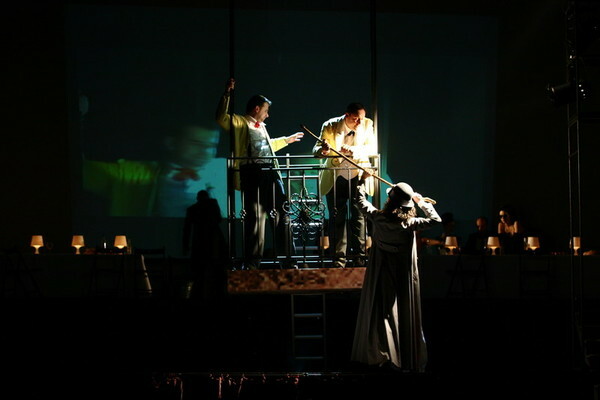 The Count and Figaro climb up a ladder to the balcony and enter the room through a window. Rosina shows Almaviva the letter and expresses her feelings of betrayal and heartbreak. Almaviva reveals his identity and the two reconcile. 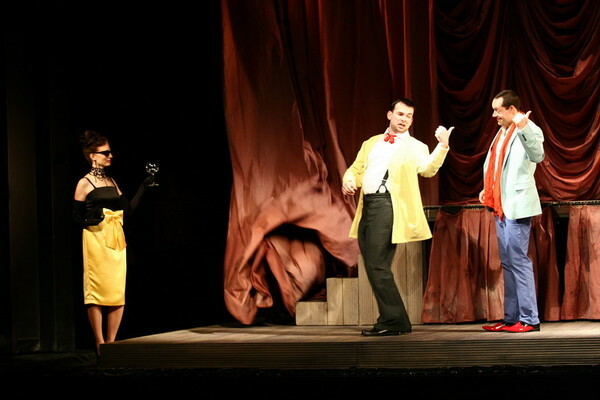 While Almaviva and Rosina are enraptured by one another, Figaro keeps urging them to leave. Two people are heard approaching the front door, and attempting to leave by way of the ladder, they realize it has been removed. The two are Basilio and the notary and Basilio is given the choice of accepting a bribe and being a witness or receiving two bullets in the head (an easy choice, he says). He and Figaro witness the signatures to a marriage contract between the Count and Rosina. Bartolo barges in, but is too late. The befuddled Bartolo (who was the one who had removed the ladder) is pacified by being allowed to retain Rosina’s dowry. This entry was posted in OPera and tagged Bartolo, Count Almaviva, Gioachino Rossini, Il barbiere di Siviglia, Štěpánka Pučálková Figaro. Bookmark the permalink.